Welcome to another Team Brae-er Blog Hop! 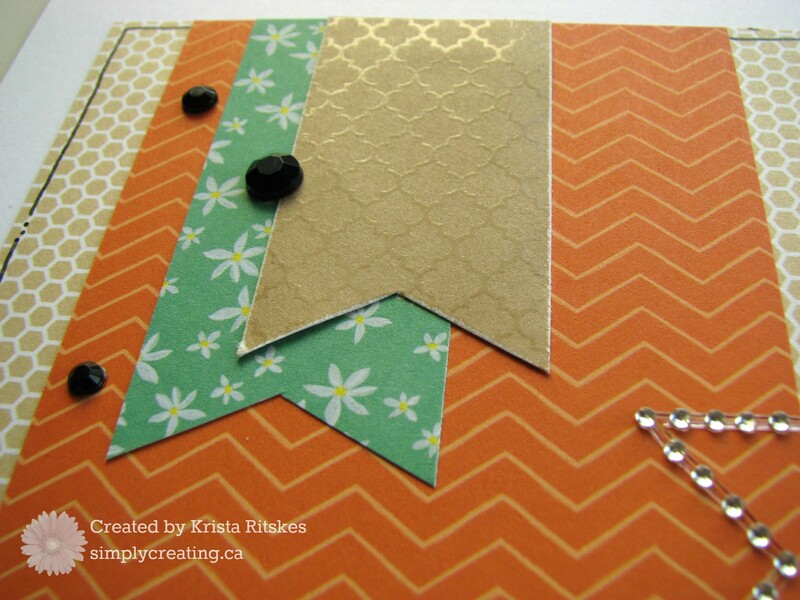 This month we’re creating with the fabulous promo paper pack, Taste of Summer. You can get this pack of 12 sheets of double-sided paper for just $8.95 during the month of May, with no order requirements! If you arrived here from Lucy’s Creative Expressions, you’re on the right track. Just keep going until you get back to where you started. I had some fun with this paper pack, in what started out as a just-for-fun layout but the paper was perfect, and therefore also perfect for this hop. I love it when that happens. Here is my layout. Since I wasn’t doing a summer or fruit theme, I chose to focus on the backs of the orange and purple papers. The green flowers fit fine. To downplay the brightness, I chose some neutral papers from the Paper Fundamentals line. Here are a few close ups. Can you see the shimmer of the embossed side of the Paper Fundamentals? I love that. Here’s a couple more shots of some of my favourite parts of this layout. 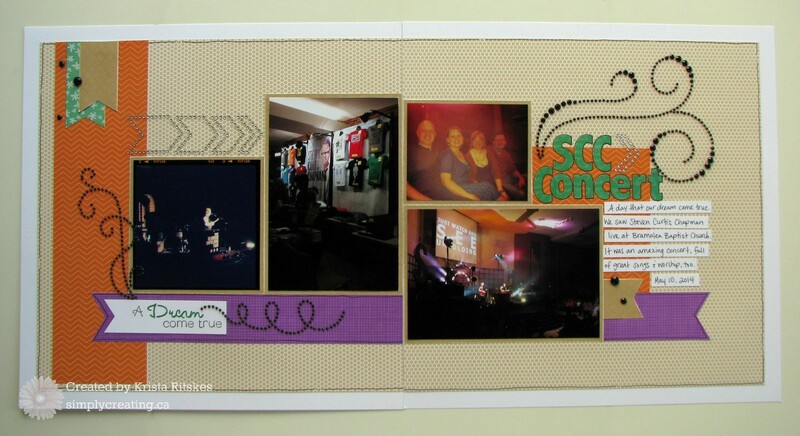 In the above photo, you can see how I used the back of the green paper, with the limes, to cut my paper. They add a subtle bit of fun to my title. Then I outlined the letters with a Black journaling pen. I used a card piece from Artfully Sent to cut the above Dream sentiment, trimmed it down and backed it with more green paper. 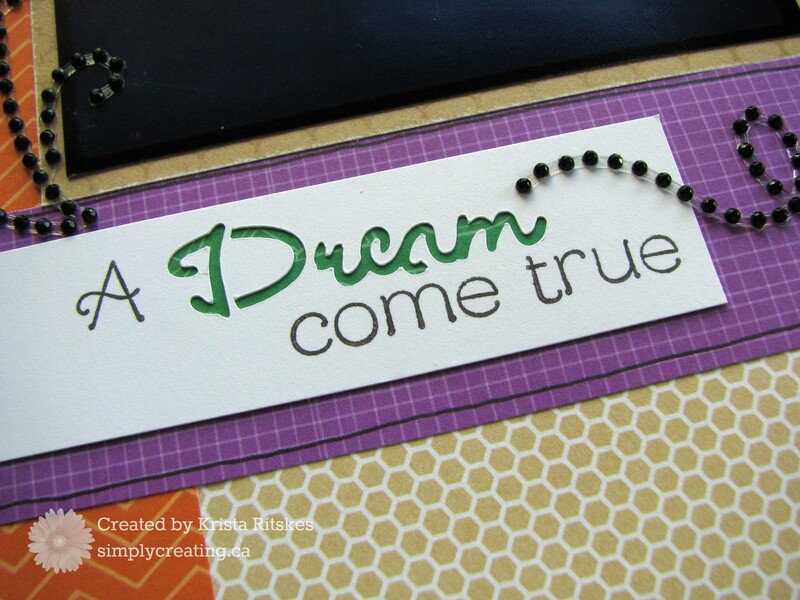 The letters are stamped with the Curlicue Alphabet that comes with the Cricut collection. 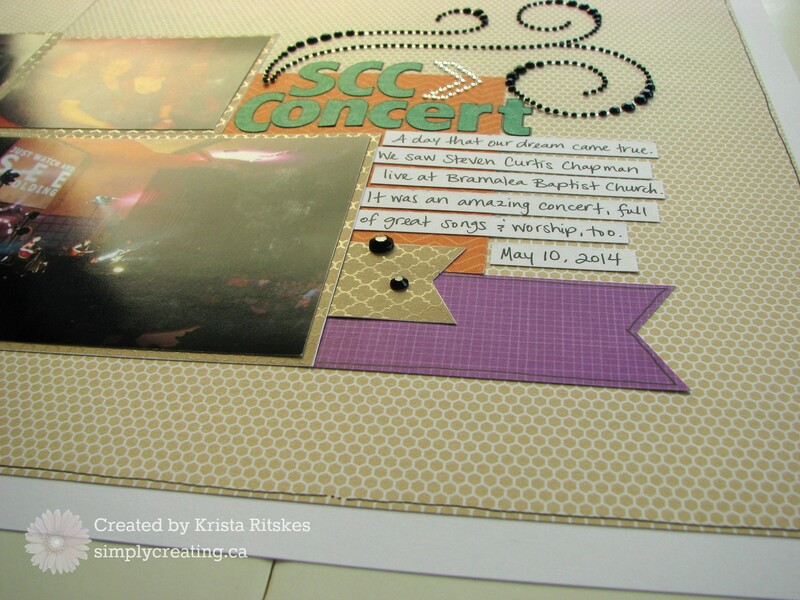 Now it’s time to hop on over to Arlene’s Creative Space and check out what she created with this fun paper. 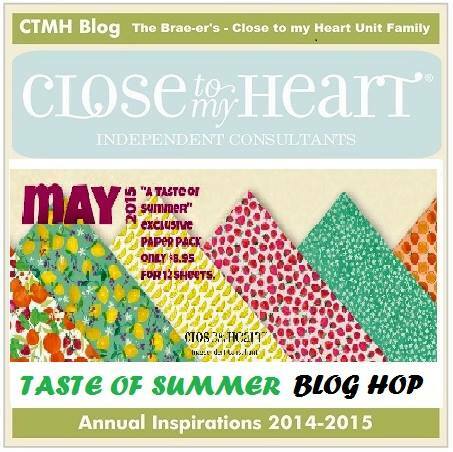 And don’t forget to contact your CTMH consultant to get your own Taste of Summer. 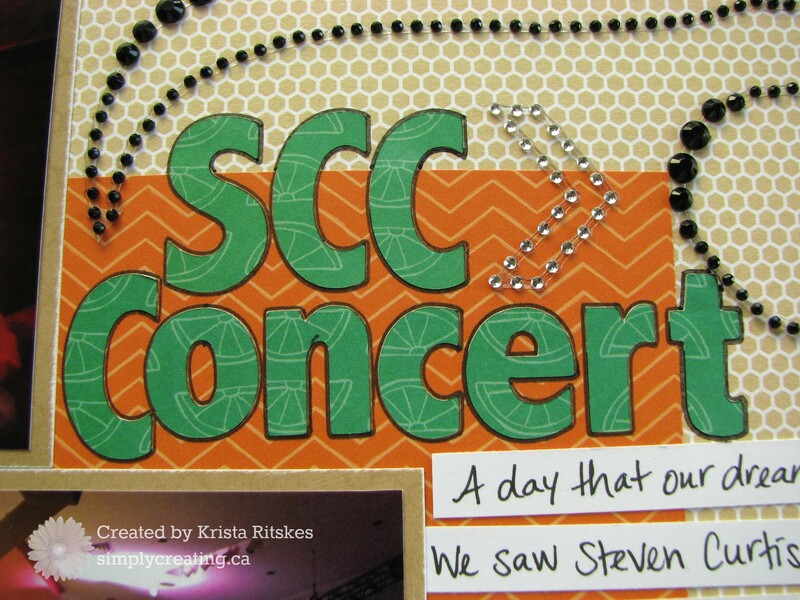 I love how you used the fundamentals paper to tone down the bright colours- nicely done! Wow Krista…you did a great job of toning down these papers. It sure shows the versatility of the paper pack. Beautiful work!! Thank you Lucy. I am very happy with it. Love the layout! and the memories…. I too enjoy how you balanced out the brightness in these papers. Like how you used the two papers – great layout. Using the honeycomb pattern of the fundamentals is lovely. Still brought out a summery feel in the layout. Thanks Tara. I just had to set it aside for a little while. I love how it turned out.